Presented on pristine 140gm black vinyl, this limited release features the eight soundstage recordings from the film. 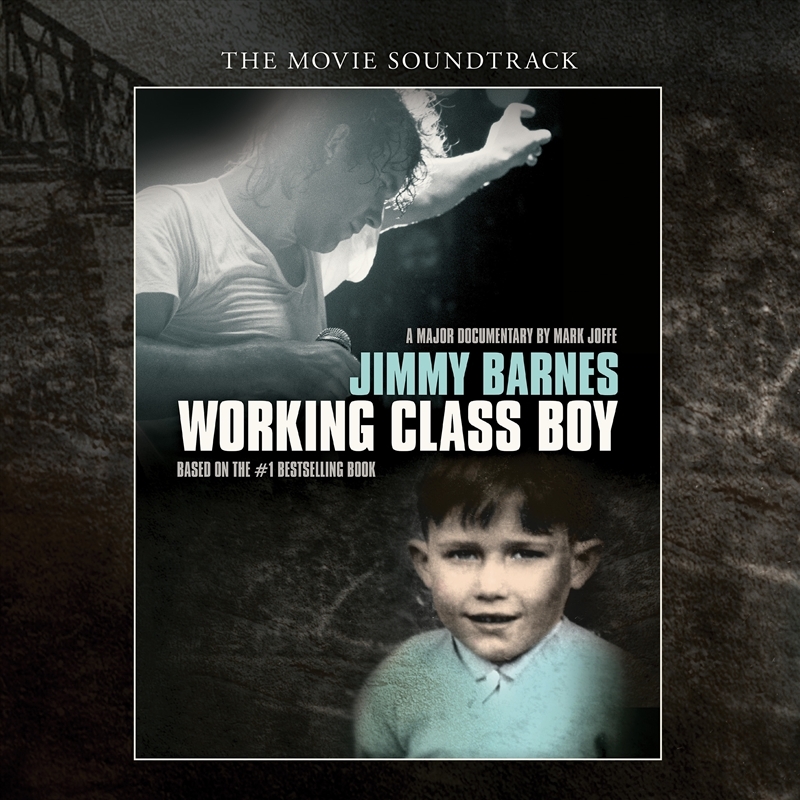 Jimmy Barnes: Working Class Boy joins Jimmy as he retraces his earliest steps through the hard streets of Glasgow. It walks with him as he revisits childhood ghosts in South Australia, reflecting on the domestic violence, poverty and alcoholism that would fuel his life. The film sets this raw, and sometimes darkly funny story against a backdrop of archival footage and interviews with family and friends. Jimmy’s honesty and inimitable sense of humour create an emotional and compelling film of a damaged childhood, a broken family, a search for love and, finally, a genuine redemption. The documentary also features some captivating musical moments. Elegantly filmed, Jimmy performs both solo and with Cold Chisel. He duets with his children, Mahalia Barnes and David Campbell, plus his brother- in-law, Diesel. An unforgettable new collaboration with Richard Tognetti’s Australian Chamber Orchestra is another highlight. This landmark feature documentary is based on Jimmy’s acclaimed memoir, Working Class Boy. His self-penned book won the 2017 ABIA Award as Australia’s ‘Biography of the Year’ and spent a staggering 16 weeks at #1. It has sold over 250,000 copies, making it one of the biggest autobiographies in our country’s history. Jimmy’s musical career is nothing short of remarkable: fifteen #1 albums in Australia – more than even The Beatles achieved; over 10,000 gigs across his lifetime; inducted into the ARIA Rock’n’Roll Hall of Fame ... twice. But none of these achievements eclipse the power and bravery of Working Class Boy. In telling this bare and brilliant original story on film, he has shown that it’s never too late to make new beginnings. Jimmy Barnes: Working Class Boy releases nationally in cinemas from Thursday, 23 August for a limited release through Universal Pictures.